David Suzuki believes Canada could have been a world leader in adopting Kyoto Protocol emission targets if former federal environment minister Lucien Bouchard had chosen the environment over Quebec sovereignty. Suzuki accused Bouchard of abandoning the environment nearly 20 years ago, when he jumped from the Conservative ship to help create the Bloc Québécois. The outspoken environmentalist made the comments Wednesday during a Montreal stop on his national tour to draw attention to climate change. The popular scientist and broadcaster said he interviewed Bouchard on the radio in 1989 and was impressed by his prescient thinking on the environment. Suzuki said Bouchard told him "the human species was threatened, and if we didn't do anything, we'd be in trouble one day." If Canada had heeded scientists' recommendations to reduce greenhouse gases by 20 per cent over 15 years, the country would have already met its Kyoto targets, Suzuki said. Bouchard left the Conservative Party after the Meech Lake Accord failed in 1989. He helped found the Bloc Québécois, which became the Official Opposition in the 1993 election. Bouchard served as Opposition leader until 1996, when he took over the PQ reins, eventually becoming premier after the closely contested referendum. During the Liberal leadership race last year, candidate Michael Ignatieff proposed recognizing Québec as a “nation within Canada.” Bob Rae, Stéphane Dion and Gerard Kennedy, Ignatieff’s main rivals, criticized the proposal, saying that it risked badly dividing a Liberal party struggling to reassert itself. Stephen Harper since openly accepted the motion, which some observers feared might set off another round of divisive constitutional negotiations that could easily lead to misunderstandings and animosity like that of the Meech Lake and Charlottetown accords. The recent debate over recognizing Québec as a nation wasn’t one between federalists and separatists, but between different groups of federalists who want to see Québec remain in Canada but who can’t agree on how it should fit into the country. This debate on the Québec issue shows just how alarmingly polarized Canadian politics risks becoming. In some circles, the only way to deal with Québec is the way Trudeau did—treat it like any other province, with no special considerations whatsoever. 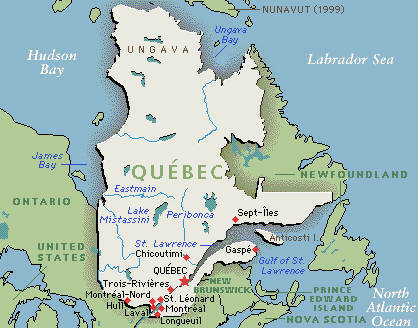 Any attempts to accommodate Québec nationalism, such as the Meech Lake Accord, only fuel separatism. Unfortunately, this approach just hasn’t worked, in that the Quebecois simply haven’t responded to it. In fact, in many ways it’s only made the problem worse. Ignatieff took a tremendous political risk in saying otherwise. The sad thing is, both Rae and Dion supported Meech Lake and criticized Trudeau’s efforts to oppose it before they joined the Liberals. At least three of the leading candidates supported recognition of Québec in some form or another, but do they feel like they can say it openly without becoming political pariahs? Tommy Douglas, the “greatest Canadian” (as dubbed by CBC viewers), once claimed that “anyone who supports negotiation with Québec is accused by Trudeau of being a separatist.” Unfortunately, now it seems you have to be either a Trudeauist or a separatist—there’s no room for compromise, conciliation or finding the middle ground. This problem can surface in other areas as well. Either you support a province like Alberta or Newfoundland in its oil disputes with Ottawa and are accused of being parochial and not caring about the rest of the country, or you defend the intent of Ottawa’s actions and are accused of not caring about the provinces’ needs. Either you support recognition of Canada’s Aboriginal people and are accused of promoting “ethnic nationalism,” or you defend Canada to the Aboriginals and are accused of promoting colonialism and assimilation, in extreme cases. What’s happened to attempts to understand where the other side is coming from in a debate? Why must we simply shout down people who dare to disagree with us? Maybe, by studying how the Fathers of Confederation made exceptions and exemptions for Québec, seeing why the aboriginal treaties exist in the first place, seeing things from the province’s point of view or seeing why Ottawa has to take the needs of all Canadians into account, we could maybe try to avoid this polarizing, and see that Canada was built on understanding and compromise, not simply shouting the other side down. One can only hope.